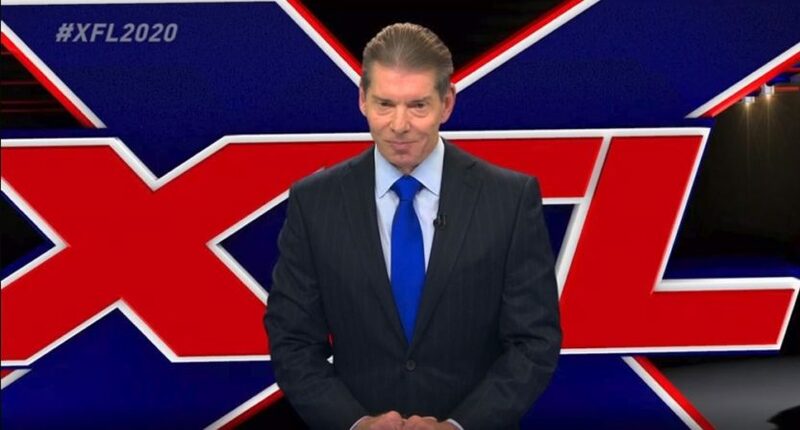 It’s apropos that Vince McMahon is the figurehead of one of the professional football leagues currently vying for their own slice of the NFL’s pie given the lessons he learned a few decades ago about the power of competition, even if he was on the other side of the equation. Back in the late 90s, McMahon’s WWF was a stale image of its former glory. Most of its superstars had moved on or been pushed out and the company was trotting out the same banal entertainment options week after week, mostly because it could. There were competitors out there, but nothing that could hold a candle to the reach and visibility of the WWF. And then, over in WCW, Hulk Hogan, Kevin Nash, and Scott Hall formed “the new world order in wrestling, brother,” and all of a sudden everything changed. For the first time, WWF was on the defensive. They were being beaten in the ratings. Their pre-taped show was being outmaneuvered by live programming that felt more dangerous. Their cookie-cutter characters were no match for these fascinating figures. And so, the WWF adapted. They changed their business model. They changed the way they presented their product. They changed their stars and they changed their programming style. From this came ‘Stone Cold’ Steve Austin, along with Mick Foley and The Rock and D-Generation X. And eventually, the company took back its crown. In many ways, the WWF (now -E) needed that competition in order to realize all of the places it had become stale. It needed to see it done better in order to do it better themselves. And they only had themselves to blame for getting into trouble in the first place. When it comes to the NFL in 2018, the comparison isn’t apples to apples. In spite of all its faults and failings, the NFL remains a behemoth. Despite all of the reasons you can come with for why it’s in TV rating peril, they’re doing just fine, thanks. And while the league seemingly can do no right when it comes to social issues, player assaults on women, or CTE concerns, it certainly isn’t in any kind of danger of being put out of business by anyone anytime soon. But there’s something to be said for the fact that so many upstart football leagues have decided at this moment to directly challenge the NFL’s monopoly on American football in the United States. Starting a professional football league of any merit is no easy task. Just ask McMahon, who has somehow decided to go it again with XFL Part Deux. Deciding to invest millions of dollars into what is almost certainly going to be a bust might sound like a fool’s errand, but it speaks to the larger concerns the NFL should have about itself. Aside from McMahon’s XFL, you’ve also got the American Alliance of Football. Of the two, the smart money is on the AAF as having a chance to actually hang around and be competitive in some way. The league was much smarter than its counterpart in picking cities that either don’t have an NFL franchise or are positioned smartly as rivals. Whereas the XFL is mostly trying to invade NFL markets, the AAF is looking to build markets of its own. Also, the AAF already has the CFL feeling jittery over salary potential that will cut into their own talent base. The AAF’s TV deal with CBS Sports Network, coupled with competitive salaries and high-profile personnel, gives it a chance to exist beyond Year One, which is an accomplishment unto itself. That’s not even counting the American NCAA Football betting, which is an enormous gambling industry on par with the NFL. NFL and NCAAF american football betting are two of the biggest gambling industries in North America, with wagers in the billions of dollars every year. But while the XFL and AAF are fighting over has-been head coaches and “remember that guy” quarterbacks, there’s also another league that’s been announced. The Freedom Football League, founded in part by former NFL players like Ricky Williams and Terrell Owens, has introduced itself to the world. This 10-team league intends to be catch-all for football players who want to be able to play without the restrictions a corporate entity like the NFL demands of you. With a mixture of former NFL players, college graduates, and even high school graduates, it’s also intended to be something of a minor league from which the NFL might pluck talent. Three different leagues. The chances that all three of them survive more than two years? Pretty much zero. The chances that one of them survives more than five years? Also fairly small. But the fact that they all exist at the same time sends more of a message than their potential success ever could. The NFL is lacking and these leagues represent something that is wanted (or apparently wanted). The FFL represents a desire by players to have more personal freedom. To be able to express themselves freely and not feel like products in an assembly line. It also preaches player and fan ownership. Both of those groups feel undervalued by the NFL. The AAF represents a more nimble vision of the NFL. Stripped down to the essentials, it has a lot of familiar faces and enough money to make sure you’ll be able to watch them. The salaries should ensure a decent-enough level of play. All of which could provide a vision of what the NFL might look like if it weren’t such a cold corporation. The XFL, ironically, wants to give vision to disgruntled football fans who just want everyone to “stick to sports.” They won’t let players kneel. They won’t let anyone with a felony conviction play. They’re going to play football “the right way” or something. And for all of those who feel like the NFL turned their back on them in the name of social justice or appeasing the masses, this league wants to smack the NFL in the mouth and remind them that football is mean and nasty. The NFL shouldn’t be scared of any of them, of course. Besides, the XFL and AAF will be playing in the spring anyway. But if they’re smart, the NFL will watch and learn from them. Much like with the original incarnation of the XFL, smaller and newer leagues bring with them innovative ideas. The XFL introduced us to so many aspects of what is normal in the NFL today. The USFL did something similar in the 80s, giving the NFL good reason to open up its playbook and make the game a bit more exciting. If, for example, the XFL experiments with new scoring ideas that catch on… who knows what may come of it. We don’t know yet what lessons are to be learned from the XFL(2), AAF, and FFL. Chances are, they won’t be around for very long to learn them. But it stands to reason that the NFL will look different in some way a decade from now because of some things these leagues do now.